As much as I love both pre-season games and Austria, the late announcement of the fixtures, the fact that they were in the middle of nowhere and a date with the Galway Arts Festival meant that I decided against travelling, so it has been a couple of weeks since I last saw Watford play at Stevenage, a game that was very enjoyable indeed. On our last visit to Loftus Road, it took a huge diplomatic initiative to get our party into a pub near the ground. Apart from Pete and Julie who, when asked to produce a QPR season ticket, looked baffled and said they just wanted to have lunch and were escorted to the bar. So, for this visit, we decided on a venue further back along the Hammersmith and City line. It was a lovely pub with a pleasant beer garden, decent beer and food. But I doubt that we will return due to the terrible service at the bar and the meals attracting a 12.5% service charge for someone to deliver the plates to the table. It was a good thing that the company was so delightful. I have stopped buying programmes at away games, but usually make an exception for non-league or lower league clubs who could do with the cash. QPR don’t fall into that category but, had I been tempted, the fact that they were charging £3 for a few pages would have confirmed my decision. Given the number of new players that have been drafted in over the Summer, I was a little surprised that only Doucouré was included in the starting line-up which was Gomes; Nyom, Cathcart, Britos; Anya, Doucouré, Suárez, Capoue, Holebas; Deeney and Ighalo. This was my first opportunity to see the players wearing the new home shirt. I can’t say that it appealed to me on first viewing. It is very yellow, which is no bad thing, but rather shapeless, so making some of our more stocky players look as if they have been over indulging during their break. I saw a couple of fans wearing the shirt and it just didn’t look new or original. But the most interesting talking point of the day regarding kit was the fact that the QPR goalie, Smithies, was in all black, as were the referees. I was rather confused when I first saw the referee pick up the ball. Since when has that been allowed? The game did not start well for the Hornets who could have been two goals down in the first five minutes. First, Britos lost the ball to Gladwin, who blazed over the bar, provoking chants of “That’s why you’re Championship” from some among the Watford crowd who may have had some pause when, a minute later, Polter headed against the bar. A shot from Chery that flew wide of the near post provoked more derision from the Watford fans, but they were silenced on 20 minutes as Polter hit a lovely shot from just inside the box that beat Gomes. 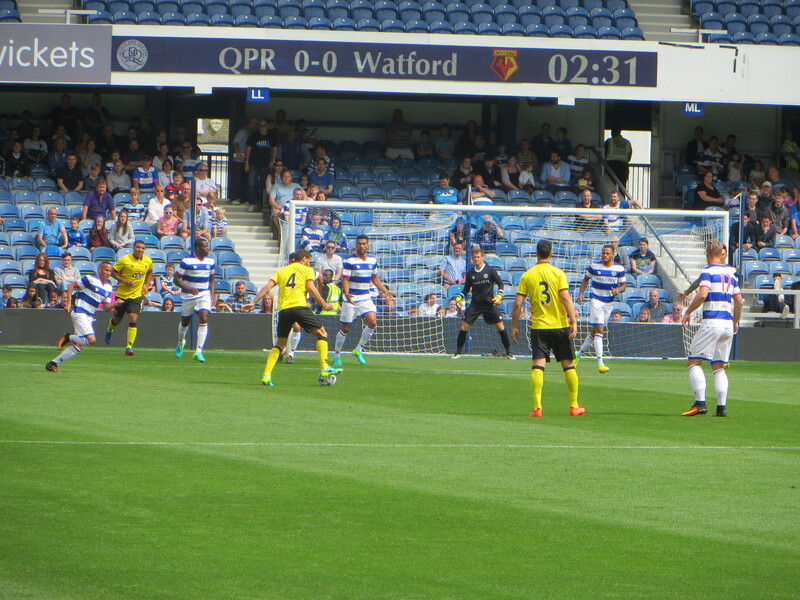 The goal spurred the Hornets to their first decent goal attempt as Holebas cut the ball back to Deeney, but a QPR defender put him off enough to ensure that he shot past the near post. 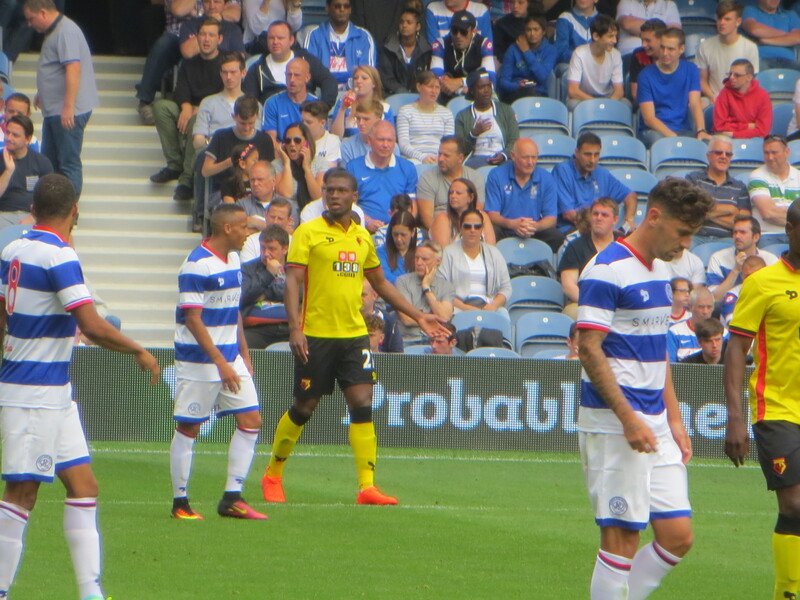 On the half hour, there was a rare moment of quality from the Hornets as Doucouré found Capoue who curled a shot wide of the far post. In the dying minutes of the half, Ighalo met a cross from Anya with a header that flew over the bar and, almost immediately, the Nigerian had another chance with a shot that was cleared off the line. Despite the late burst of action from the Hornets, the half time verdict was that it had been a shocking display. Thankfully my mood was improved by bumping into Olly Wicken and having a chat about his new Hornet Heaven podcast. A request by this Luddite for download instructions was granted and followed up with a link in a tweet, so I now have all four episodes lined up for my commute to work this week (https://audioboom.com/boos/4865618-s1-e1-the-turnaround). At the start of the second half, we had the opportunity to see a couple of the new recruits as Kabasele and Zuniga joined Amrabat in replacing Nyom, Doucouré and Anya. 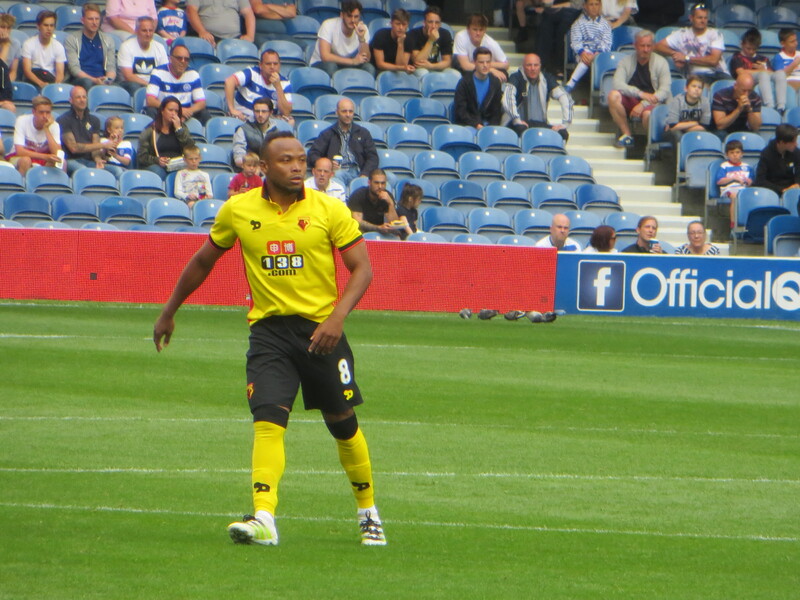 There was a lovely move between Amrabat and Zuniga at the start of the half that finished with a cross that was cleared just before Deeney could connect. But it was a false dawn as we never really looked like getting an equaliser. 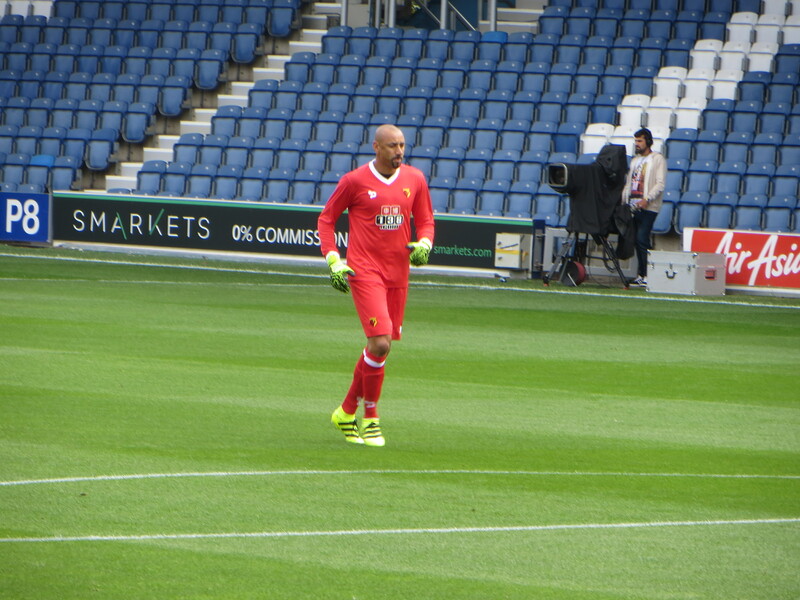 The introduction of Pantilimon, Prödl, Watson, Success and Guedioura during the second half had little impact on the proceedings. The home side increased their lead on 82 minutes as the Watford defence went missing allowing a corner to fly across the box before it was headed home by Washington. The Hornets finally got the pulses racing in the last minute of the game as Guedioura jinked into the box and unleashed a shot that took a decent save from Smithies to keep out of the net. Deeney connected with the rebound, but Smithies caught his header. The final whistle went to some boos in the away end that were as half-hearted as the Watford performance. At the end of the game, more than one person wished me luck in finding anything to include in a report. While the results of pre-season games are irrelevant, you do hope to see a team and plan for the upcoming season start to emerge, but this game was totally uninformative. In fact, we seemed to have gone backwards from the performance against Stevenage, even taking the better quality of the opposition into account. So back to the pub to meet up with a couple from our party who had left early and so missed the best Watford move of the game. After the post-mortem I went on to the National Theatre to see The Deep Blue Sea. The fact that a tale of heartbreak and betrayal lifted my spirits after the match tells you all you need to know about both performances. This entry was posted in Watford FC and tagged Abdoulaye Doucoure, Adlene Guedioura, Allan Nyom, Ben Watson, Christian Kabasele, Costel Pantilimon, Craig Cathcart, Etienne Capoue, Heurelho Gomes, Ikechi Anya, Isaac Success, Jose Holebas, Juan Camilo Zuniga, Mario Suarez, Miguel Britos, Nordin Amrabat, Odion Ighalo, QPR FC, Sebastian Prodl, Troy Deeney, Walter Mazzarri, Watford FC on August 1, 2016 by franelynn.